*NEW PROPERTY! * Gatlinburg Riverfront Condo, Downtown Gatlinburg! Property 1: *NEW PROPERTY! * Gatlinburg Riverfront Condo, Downtown Gatlinburg! WELCOME! Spacious end unit! Wrap around balcony - covered parking! Property 2: WELCOME! Spacious end unit! Wrap around balcony - covered parking! In Town with a Spectacular View - Walk to the Parkway! Property 5: In Town with a Spectacular View - Walk to the Parkway! Property 6: Gatlinburg Townhouse w/ Mtn. Views & Pool Access! Gatlinburg, Private , Hot Tub, Fireplace, Pool Table, Close to Attractions! Property 7: Gatlinburg, Private , Hot Tub, Fireplace, Pool Table, Close to Attractions! Cozy Log Home 3 Minutes From Downtown! Property 8: Cozy Log Home 3 Minutes From Downtown! $108 A-NITE MAY ONLY-PRICE SLASHED-HUGE HOTTUB! 2 COVERED DECKS! STUNNING VIEWS! Property 9: $108 A-NITE MAY ONLY-PRICE SLASHED-HUGE HOTTUB! 2 COVERED DECKS! STUNNING VIEWS! Property 10: 2016 Newly Constructed Cabin Minutes From Downtown Gatlinburg! Brand New Cabin Within Walking Distance To Downtown Gatlinburg. Property 13: Brand New Cabin Within Walking Distance To Downtown Gatlinburg. $108 A NITE-MAY ONLY-PRICE SLASHED-HUGE HOT TUB! 2 COVERED DECKS-STUNNING VIEWS! Property 14: $108 A NITE-MAY ONLY-PRICE SLASHED-HUGE HOT TUB! 2 COVERED DECKS-STUNNING VIEWS! Honeymoon Cabin, VERY Secluded, Jacuzzi, No Fees, Close to Town, HOT TUB!!! Property 16: Honeymoon Cabin, VERY Secluded, Jacuzzi, No Fees, Close to Town, HOT TUB!!! HONEYMOON HIDEAWAY - ROMANTIC ANTIQUE LOG CABIN CLOSE TO EVERYTHING!!! Property 17: HONEYMOON HIDEAWAY - ROMANTIC ANTIQUE LOG CABIN CLOSE TO EVERYTHING!!! 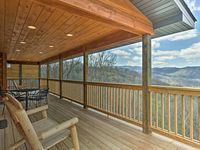 Gatlinburg Cabin w/Deck, Hot Tub & Mountain Views! Property 20: Gatlinburg Cabin w/Deck, Hot Tub & Mountain Views! A Black Bear's Hideaway/3 King Master Suites/Perfect Location to Dowtown!! 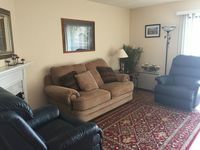 Property 23: A Black Bear's Hideaway/3 King Master Suites/Perfect Location to Dowtown!! Property 24: Weekday Special! Only $120 A Night Though May. Ahhh the View, 4/27-30 $155 nt ; 5/5-8 $165 nt; 5/26-6/1-OPEN: PANORAMIC VIEWS! Property 31: Ahhh the View, 4/27-30 $155 nt ; 5/5-8 $165 nt; 5/26-6/1-OPEN: PANORAMIC VIEWS! "Her Majesty Way" Amazing Mountain Views, FREE Area Attraction Tickets for each Paid Night. Property 33: "Her Majesty Way" Amazing Mountain Views, FREE Area Attraction Tickets for each Paid Night. Property 49: Discover this gorgeous, pet-friendly Gatlinburg cabin with 2 BR/2BA each with separate Jacuzzi tub. Rating Details: The property manager was very helpful. The vacation rental was spotless. I was very happy with the location. I was more than satisfied with the condition of the vacation rental. Overall, I recommend this vacation rental. Reviewer Comments: We had never stayed in a condo, Gatlinburg, and didn&amp;#x2019;t know what to expect, we were pleasantly surprised. The place was clean and was situated in a part of town that made it easy to walk anywhere we wanted to go. Teresa, at the desk, was very helpful and nice. This place is immaculate. Looks brand new and may only be a year or so old. Awesome view/balcony. Two stories, bedroom/bathroom/living room/big flat screen TV on each floor. Comfortably sleeps 4 (2 per bed). I will say it is more appropriate if you are spending a lot of time in the cabin, since it's basically a house you can live in with a full kitchen. We did not spend a whole lot of our time in it while on our trip unfortunately, but when we were there it was great.